Stellarium is a planetarium program which renders stars in the night sky in 3D using OpenGL. Stellarium’s default catalog contains over 600,000 stars and lets you adjust both the location of the vantage point as well as the time. Want to see what the stars will look like from Phobos in a hundred thousand years? You can do that with Stellarium. In addition to stars, Stellarium contains a wide variety of additional features including the planets of the solar system, their moons, a realistic milky way, constellations, a realistic atmosphere with sunrise and sunset, twinkling star graphics, shooting star graphics, simulation of eclipses and more. Stellarium even includes a fish-eye projection mode for projecting its graphics onto a planetarium dome. 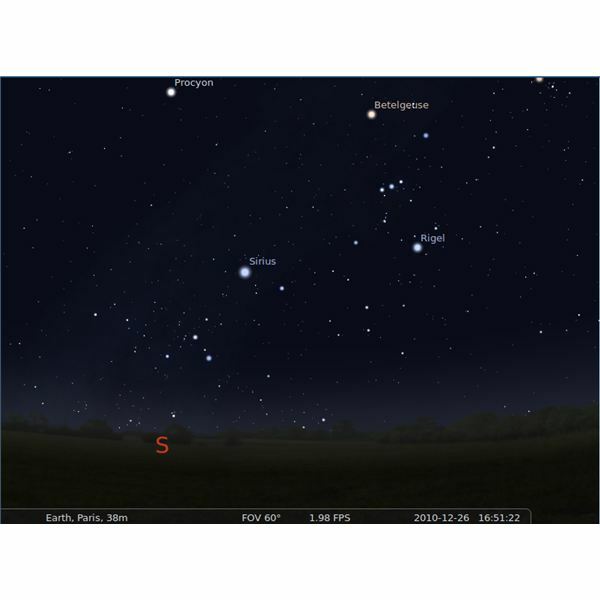 Stellarium runs on Windows, Mac OS X and Linux. Download Stellarium from its official website or with your Linux distribution’s software installer. Celestia renders the universe in 3D, but it’s different from planetarium programs in that you can fly through it. This allows you to see perspectives you couldn’t in traditional planetarium programs since you’re not bound to the surface of any celestial object. Celestia’s universe is seamless and lets you go to any location in the universe by pointing to it in addition to flying through the universe. Celestia includes stars, planets, moons and other space objects such as spacecrafts and asteroids. Like Stellarium, Celestia lets you select a specific year to view. NASA has even used Celestia for educational purposes, a significant endorsement of this program's quality. Celestia is available for Windows, Mac OS X and Linux. Download it from the official website or your Linux distribution’s software repositories. 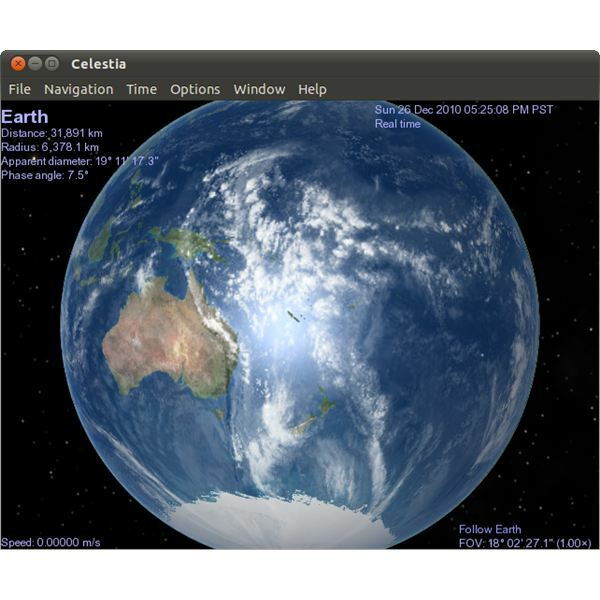 Kstars is a planetarium program that’s part of the KDE desktop, but it runs on all Linux desktop environments. Kstars is more of a traditional planetarium program and doesn't offer 3D graphics or locations other than Earth, but it provides an accurate representation of the night sky from any location on Earth at any selected time. Kstars shows millions of stars, all the constellations, all the planets in the solar system, the sun, the moon and other objects such as asteroids and comets. 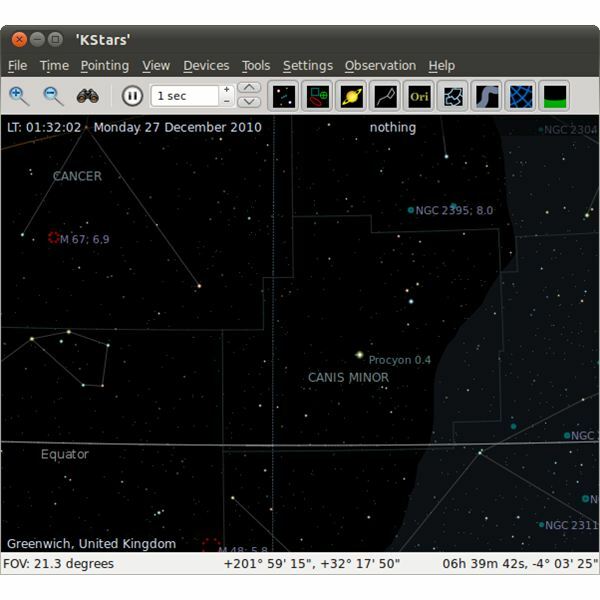 Unlike Stellarium and Celestia, Kstars is only available for Linux and doesn’t work on Windows or Mac OS X. Learn more at the official Kstars website or download it from your Linux distribution’s package manager. Find more information about astronomy at Bright Hub.